We are delighted to announce that for the very first time we will have a category entitled Champagne Taittinger Wedding Food Photographer to show how celebration of this great life event is marked with food and feasting across the world. Today we have invited Tiree Dawson to the blog who is a multi-finalist of the awards, shoots a staggering 80 weddings a year and has featured in numerous Bridal titles. Above is one of Tiree’s Finalist images from 2017. Welcome to the blog Tiree, we would love to hear more about your background in photography? I've been a professional photographer for around 10 years, I currently shoot around 80 weddings each year and produce images for more than 40 commercial clients. Whatever it is I'm photographing I aim to capture graceful and beautifully composed images that tell the story of the subject as it unfolds, without interrupting it. What is it that you love so much about shooting weddings? I’ve shot well over 300 weddings now, but every time someone books me it’s still a real honour to be asked and trusted to do such an important job. Weddings aren’t without their challenges and stresses, but on the whole they are magical days – each one completely unique and special. I love to capture all of the careful hard work and thought that couples put into making their wedding an amazing experience for their guests, but most of all I love working with people. It takes real skill and experience to make anybody and everybody feel comfortable in front of the camera and I love that challenge. How can wedding couples and photographers work together for a chance for their wedding food photography to make it to the 2019 finals this year? Food often plays a key role in wedding celebrations, so this is a great idea for a new category. Funnily enough, though, the wedding breakfast is usually the time photographers will down tools and take a well earned break! Photos of wedding guests eating is rarely a good idea – it’s not the most flattering, and they need a break from photos too. There are, however, ways to bring the food and drink element into the coverage of the day - and rightly so as it is usually a big part of the budget and experience for the couple and their guests. Ensure your photographer gets the same quality food as the guests so that each course can be captured (and then eaten of course!) In my experience many venues will be happy to provide a full wedding meal if they’re then allowed to use the images for their marketing too. Try to find an angle that shows the meal in action without focussing on specific guests. Explore classical examples of how this has worked in art history – eg the Last Supper, banquets and feasts. Shooting from above or a reflection in a mirror or painting can often work well. This approach requires sensitivity and respect – the last thing you want to do is be getting in the way of a busy kitchen preparing to serve hundreds of hungry guests! 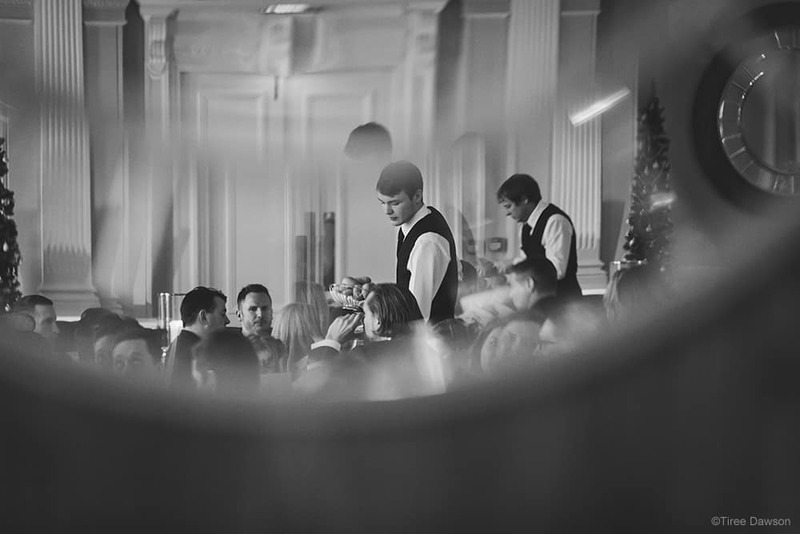 It can be worth trying to find out what options there are though – perhaps a quick shot of the plates laid out ready through the zip of a catering tent, or a close up of champagne glasses being filled for speeches. With ninja-like powers you can often get great, unexpected shots without getting in the way! Food and drink are likely to play a part in the whole of the day. 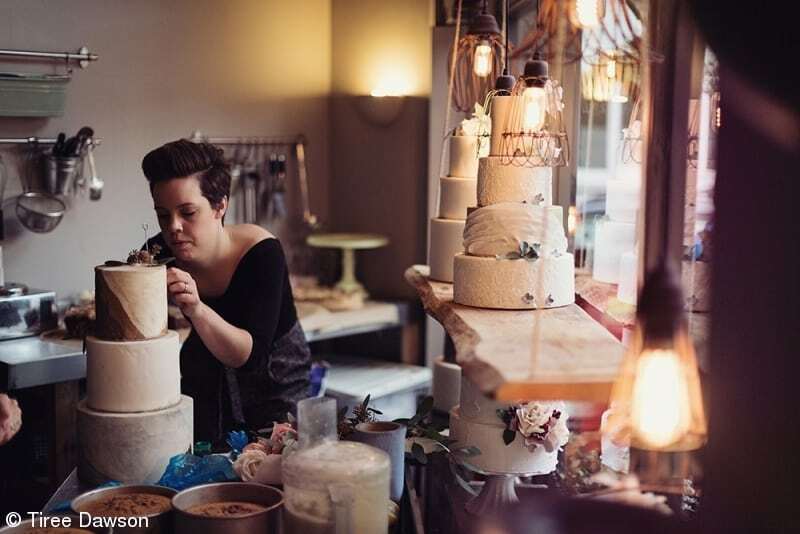 First thing in the morning you might find the cake maker carefully placing the final decorations on their masterpiece - or a steaming pile of bacon sandwiches being delivered to the bridal suite. Keep an eye out for the latest trends – doughnut walls, Prosecco vans, cookies ‘n’ milk…even mashed potato bars! I love to take detail shots at weddings, but if you can involve even a suggestion of a person in there too it makes it much more meaningful. Detail images should help to tell the story of the whole day, rather than look like a stand alone product shot for the supplier or venue. 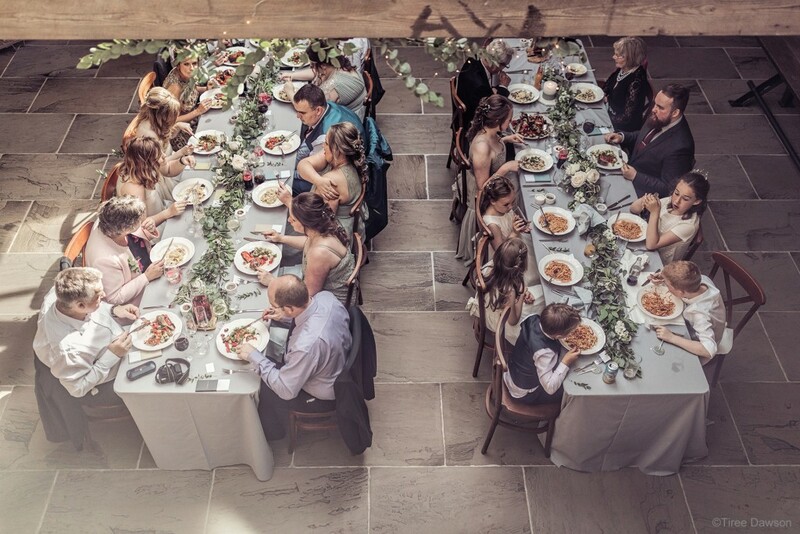 Guests admiring and sharing food, suppliers carefully creating and serving their contributions, a pair of characterful hands proudly showing the end product – all of these things can be spotted by you but are easily missed by the couple. It’s my job to help the newly weds remember their favourite moments and fall in love with the parts of the day they didn’t even get to see! What advice would you give to young aspiring photographers that would like to embark on a career in wedding photography? Speak to those who are already in the industry to make sure you have a real understanding of what is involved. There are many, many positives, but you also need to be sure that you can withstand the pressure, cope with being self employed and be ready to spend many, many hours by yourself editing and doing admin. I love the contrasts of having to be highly sociable one day and then be able to lock myself away quietly the next, but that way of working isn’t for everyone! Before embarking on shooting a wedding solo consider second shooting with an experienced professional to gain experience and find out if it’s the right thing for you and the couple.